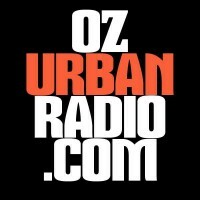 OzUrbanRadio.com is a brand new music platform that brings you Soul, RnB, Hip Hop and Urban tunes 24/7. With a huge number of urban format stations in New Zealand, the UK and of course USA, its high time that Australia had its own Urban music station. For too long in Australia we have been deprived of the worlds leading black music, and now its time to hit back. Its what internet radio should be, with real music, real presenters, real shows.... 24/7 to your computer, tablet or mobile device. GET ON BOARD! !